In November 2017, we worked with Cobra Electronics on a commercial videography and advertising production. Cobra Electronics is a leading global designer of mobile communications and navigation products throughout the world. 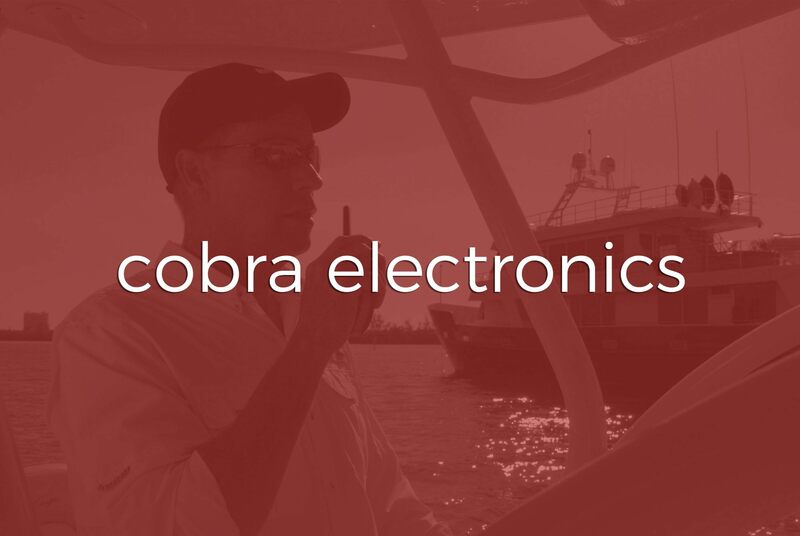 The purpose of the production was to highlight Cobra’s line of marine electronics. We completed the shoot over two days. The first day centered around the beach and boating, while the second day focused on fishing and socializing. This provided a variety of looks to fit within the Cobra brand. As a full service production company, Two Stories Media produced, directed, shot, and edited all content. We were responsible for coordinating the production with three actors/models and crew, as well as managing the intangibles such as the schedule, meals and locations. We used two boats for the production. The first boat was the vehicle/picture boat. The second boat was a chase boat, which was used to stage gear, hold bags, water, snacks and transport actors and crew who were not being used at times. 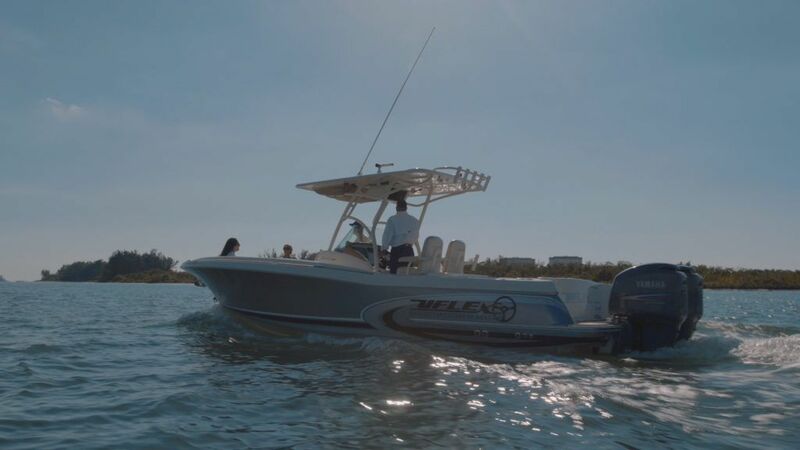 The second boat was also used to chase the first boat by following along for drive-by footage and establishing shots. The drone used for aerial footage actually took off from this boat while we were on the water. 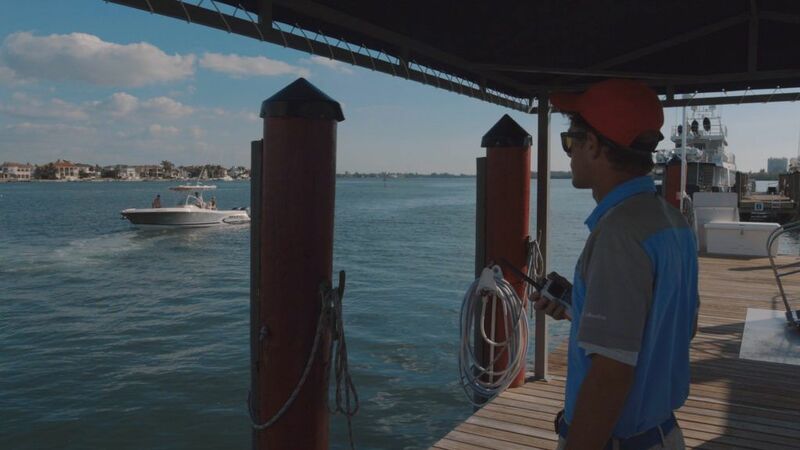 Capturing aerial footage from a moving boat was challenging and fun. Taking off, following, and landing took a lot of confidence and patience. The products featured included: fixed mount VHF radios, handheld VHF radios, and portable power and jumpacks. Cobra Electronics will be using the footage for brand recognition throughout various advertisements. This was a unique, fun, and challenging production. We look forward to working with Cobra Electronics in the future.